designed for compact MV switchboards with circuit breakers. CSPR-V1 uses CTs with secondary rated for 1A. 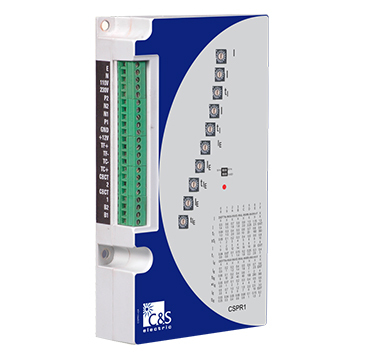 The CSPR-V1 is a CT-powered protection relay with inverse time and definite time protection characteristics. Definite time and inverse time earth over current protection by internal calculation (ANSI 50N/51N).